It really is a bird's life after all. Can't get enough Hatoful Boyfriend? You're in luck, and just in time for the holidays. 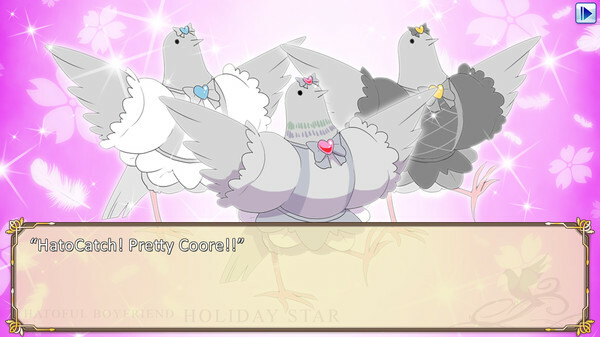 Hatoful Boyfriend: Holiday Star is launching for PS Vita and PlayStation 4 on December 22, straight from publisher Devolver Digital. The game will run you about $10, but that's a paltry sum for this much full-frontal birdage. This holiday-themed sequel features new birds, more romance, and even a winter wonderland to explore. There are even magical girl transformations out there, and the fact that they're included in Holiday Star basically means it's a day one purchase for me and should be to all of you. Check out the trailer above for the upcoming remastered edition, and see if this is something you want to play through the holidays while you spend time with family and friends.